Warning. You may pass out when you hear this so I would recommend sitting down. Shoes of Prey makes custom shoes up to size 15. Do I need to get out the smelling salt? SHOES OF PREY DESIGNS. What would you create? Click the pic to check out some of their Hall of Famers.When I stumbled upon SOP I was elated. There are many custom made shoe companies out there. Most only go up to size 10 and almost all of them charge a months wages for a pair of shoes. This company does neither. They make up to size 15 and you can create a custom pair for at low as $140 (granted you could spend MUCH MORE on a pair but that's what they start at). What if they don't fit? No worries. They will make you a new pair. I know. It's amazing. START HERE. 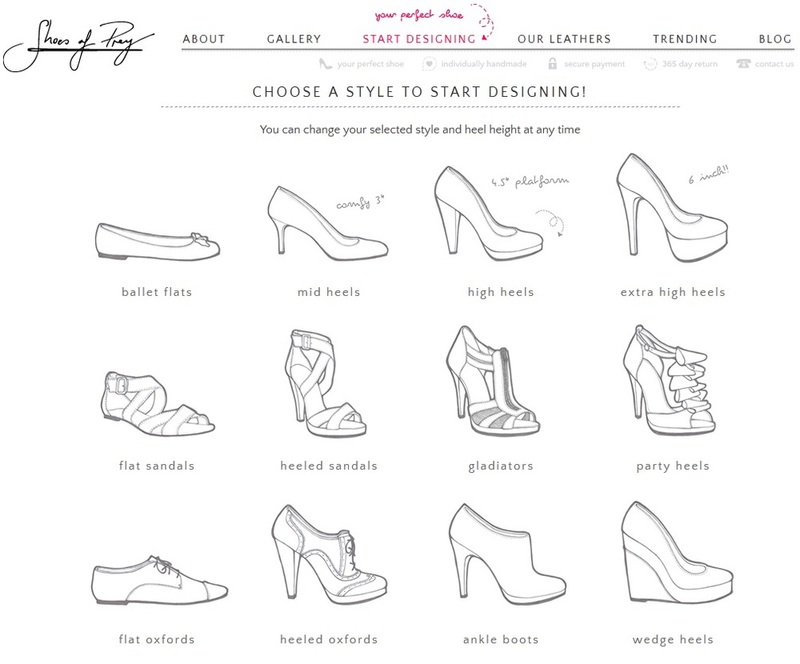 Designing your own pair of Shoes from Shoes of Prey is easy and fun! You start by picking the style and the rest is up to you. and the amount of work that they put in to a pair, is phenomenal. This video speaks for itself.